Whether you’re moving from Orlando to DeLand to live in a quieter community, start a small business, or retire in a beautiful suburban oasis, choosing the right professional movers is the key to a successful, and stress-free, relocation. 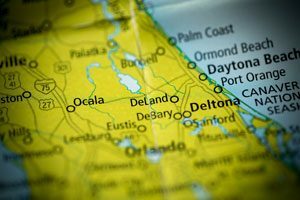 For over 20 years, the professionals at AAA Insta-Move have been relocating Florida homes and businesses, giving us experience you can count on for a seamless move from Orlando to DeLand. When it comes to choosing a trustworthy moving company, Orlando homeowners and business owners know to count on AAA Insta-Move. 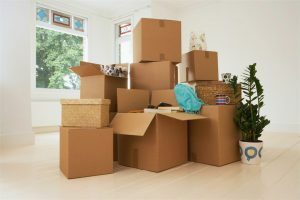 Why waste your time spending hours on the internet searching for “movers near me” when all you have to do is make one call to our experienced professionals? Residential Movers: From two-bedroom homes to large estates, our expertly trained movers have the skills and experience necessary for a seamless relocation. Apartment Movers: Tight corners, narrow hallways, and multiple flights of stairs are no problem for our full service apartment movers. Commercial Movers: Our commercial movers offer efficient, cost-effective business relocations with a focus on minimizing downtime, so you can get back to work ASAP. Specialized Movers: For sensitive, high-value, or bulky items, count on the expertise of our professional movers. Storage: We feature both short and long-term storage options in our warehouse or convenient mobile storage units. Ready to get started on the easiest move of your life? Get in touch with leading Orlando moving company, AAA Insta-Move, right away to learn more about our comprehensive moving and storage solutions. Give us a call or complete our convenient online quote form to request your free, no-obligation estimate of moving costs.